Okay, this post is long overdue but I promised I would post it so here it is. Remember the post I did about my Shutterfly party? If you don't remember or haven't read it yet, you can find it here: http://thechroniclesofarookiemom.blogspot.com/2010/11/shutterfly-making-spirits-brighter.html. 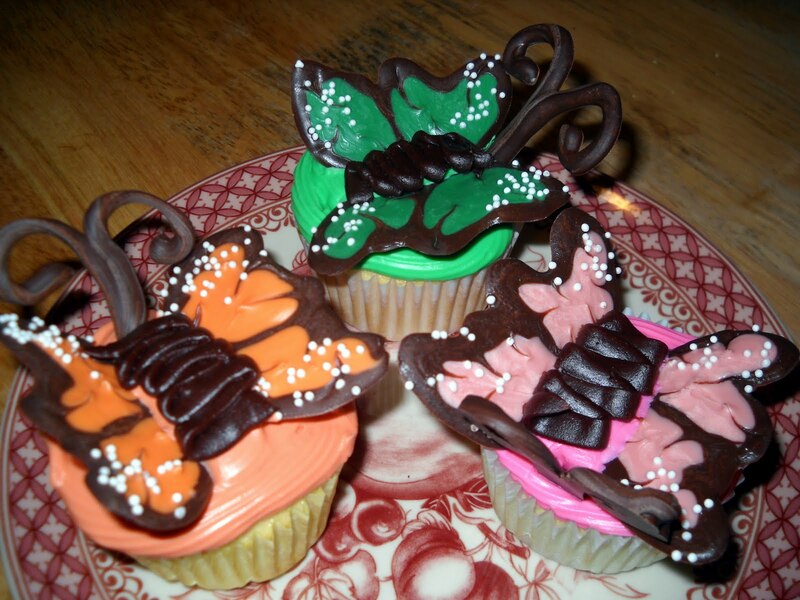 I had made these absolutely adorable butterfly cupcakes. They were a HUGE hit! 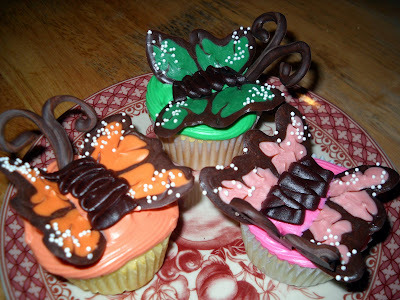 Well, I had found the process for making these awesome cupcakes here, http://annies-eats.net/2009/05/26/butterfly-cupcakes/. Her site is pretty awesome and I strongly urge you to check it out. In fact, I wanted everyone to go to her site to see the process for making these cupcakes. She has done a great job breaking it down in easy steps and her pictures are pretty amazing also. If you decide to make these cute little things, let me know! I would love to know how everyone liked them and see pictures! Wow! 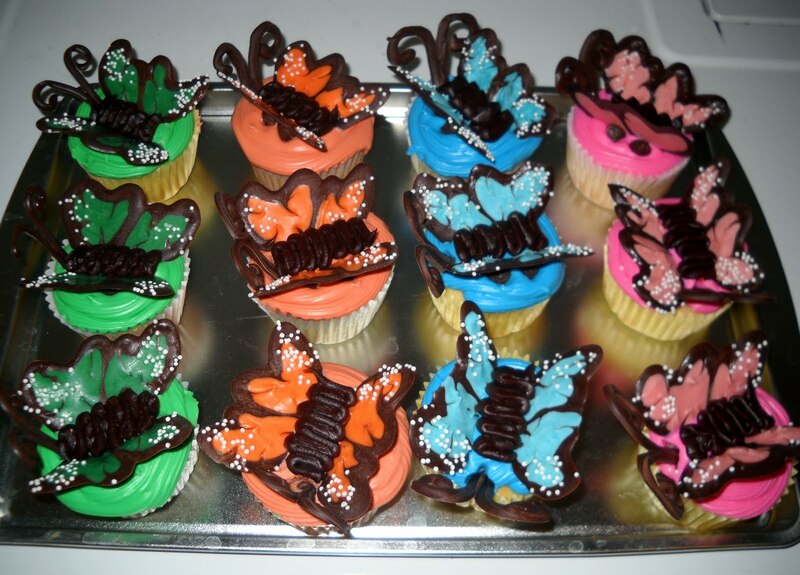 Those are the coolest cupcakes, my daughters would love them! super cute! I love Shutterfly too. Stop by, look around, follow back, comment freely - most importantly, ENJOY! Those cupcakes look divine!!! Thanks so much for visiting me & following me. I'm your newest follower too. Hayley is just too cute! Wow, those look amazing! 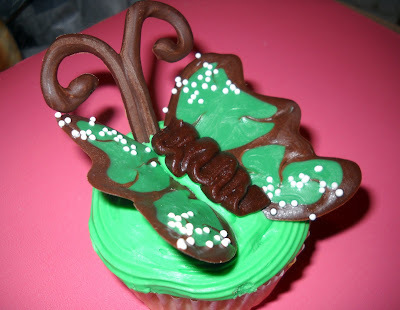 I'm always looking for ways to spruce up my boring cupcakes!!! I'm so glad you stopped by my blog! I look forward to reading more of yours!! New follower...found you through Boobies, Baby.... Those cupcakes look divine! Yum and so darling! I'll be visiting often! i am now following this cute blog of yours. what a precious little one you have too. I would love for you to stop by my place and follow me back. hope you have a wonderful weekend.